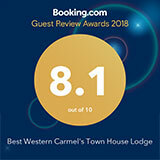 Without a doubt one of the most scenic drives in the world, 17-Mile Drive stunning roadway passes by dramatic Monterey coastlines, majestic cypress trees and breathtaking landscapes. Running alongside the Pebble Beach golf courses to Pacific Grove, this legendary drive is full of natural treasures. Find perfect photo opportunities at popular 17-Mile Drive points of interests such as The Lone Cypress, Carmel Bay, Cypress Point Lookout and Spanish Bay. Pack a picnic and relax against a glorious ocean backdrop of Spanish Bay, watch harbor seals and their pups at Fanshell Overlook or tee off on the legendary Pebble Beach golf courses, where even the pros play in awe. What are the famous Pebble Beach golf courses? The world-famous Pebble Beach Golf Links is the top public course in the US. Pebble Beach's public courses include the Pebble Beach Golf Links, Spyglass Hill Golf Course, The Links at Spanish Bay, Del Monte Golf Course and Peter Hay Golf Course. 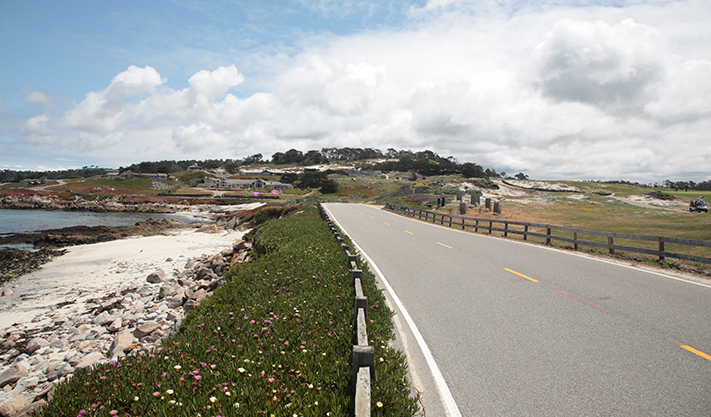 What is the most popular vista point on 17-Mile Drive? The Lone Cypress is one of the most photographed trees in North America. An icon of the West and California, it stands on a granite hillside overlooking the Pacific Ocean on 17-Mile Drive. You’ll find it between Cypress Point Golf Course and the Pebble Beach Golf Links.